12 Division police will host a “Cram a Cruiser” event this weekend. They’re asking you to fill one of their cruisers with donations to the local food bank. 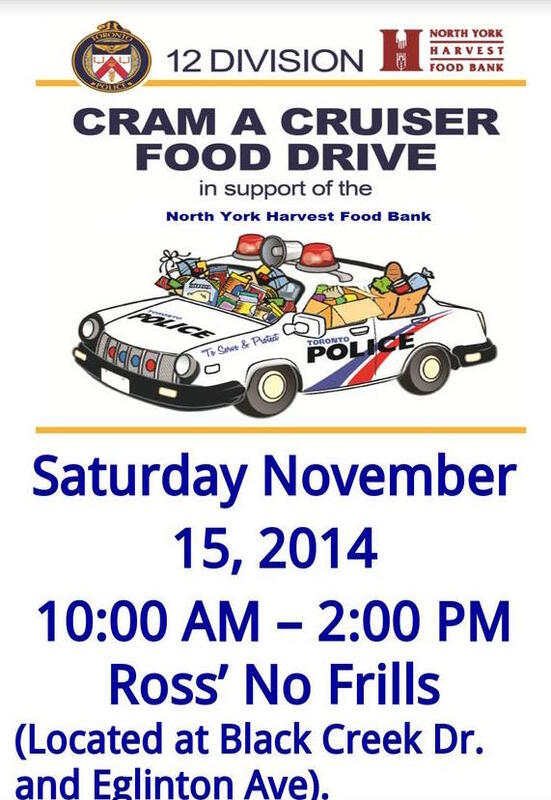 The police will be at the No Frills at Black Creek and Eglinton from 10–2 this Saturday. Next Next post: Nunziata: Rosemont Social Club operators cleared.